IBP announces that it will be launching the Sales Coaching App for use on smartphones and tablets late spring! Impact Business Partners specialises in transforming sales team performance and strategy. As experts in sales, strategic thinking and psychology, we have an unbeaten track record in giving companies the edge they need to succeed. Our clients rely on IBP to keep their sales forces at the peak of their game, and we’ve helped them to achieve double-digit growth throughout one of the toughest trading periods in history. No organisation can afford to stand still in today’s constantly evolving business environment. So we don’t. At IBP, we make it our business to keep up with the world’s most innovative and successful approaches to selling – and to translate them into solutions that deliver direct top-line growth for your business. Customers have more information at their fingertips than ever before, so an effective sales person must be much more than a walking brochure. IBP uses proven, market-leading tools to accurately identify the shortcomings of a team or strategy. We don’t just look at outcomes – anyone can do that. Our training delivery teams and psychologists understand the behaviours, skills, capabilities and motivations that drive top-performing sales people, and how to unlock their full potential.Our clients rely on IBP to keep their salesforce at the peak of their game. At IBP, we make it our business to keep up with the world’s most innovative and successful approaches to selling – and to translate them into solutions that deliver direct top line growth. 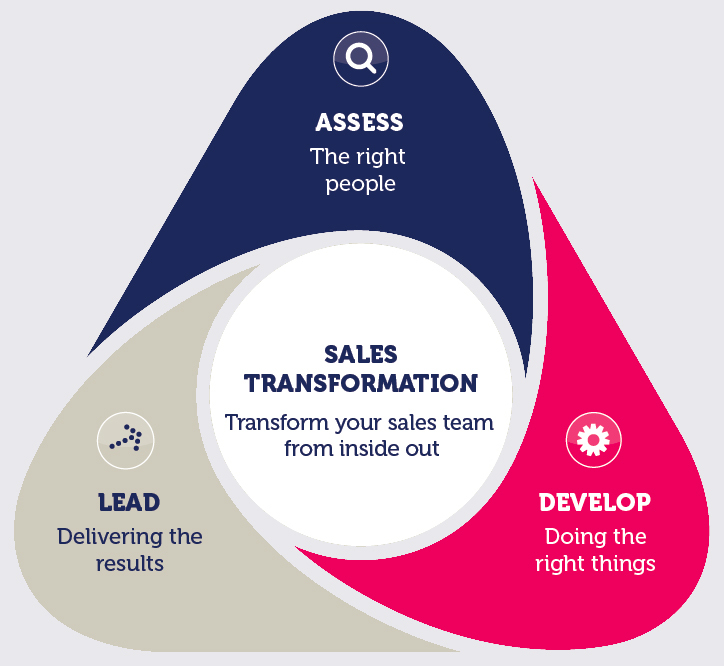 To discuss your challenges and needs, and to allow us to share our latest insights into the sales arena, please contact us or download the IBP Sales Transformation brochure below.